The nearly 6,000 people who attend our expo love the psychic readings and the seminars… it’s an exciting mix of entertainment and inspiration– a great place to recharge in a fun-filled atmosphere with live music, aura photography, art exhibits and lots of great shopping. The Victory of Light Psychic Festival, one of the country’s largest metaphysical conventions for the general public, continues its 25-year anniversary celebration the weekend of November 18 & 19, from 10 a.m. to 7 p.m. at the Sharonville Convention Center, 11355 Chester Road, Cincinnati, OH 45246. Three hundred psychics, healers and exhibitors will fill the convention center, along with experts from around the country who will lead over 90 seminars on topics such as astrology, past lives, angels and spirit guides. Expo tickets, $15 daily/$25 for both days, are available at the door, and include admission to all of the seminars except five ($10-20). Parking is free; overflow parking is available across the street and at Princeton High School, just a block away. Visit Victory of Light (VOL) on Facebook, online at VictoryofLight.com or call 513-929-0406 for more information. Victory of Light began in 1992 as a small psychic fair in a hotel ballroom and grew to become greater Cincinnati’s 13th largest convention based on annual attendance, according to the Cincinnati Business Courier. Saturday is “Angel Day” at the expo, with four seminars on angels starting with Tina Michelle’s “The Secret Language of Angels” at 11 a.m. Author Christine Alexandria will present “Sacred Angel Gallery Readings” at 1 p.m.; psychics Carol Borkoski and Vicki Lee will present their popular “Messages from Angels and Loved Ones” at 2 p.m.; and author Cindy Riggs will present “Live Channeling of the Angelic Realm” at 3 p.m.
Astrologer Pam Gallagher will discuss the continuing effects of the August 21 total solar eclipse (Saturday at 2 p.m.), which most astrologers agree unleashed the hurricanes, earthquakes, floods and fires which followed. Attendees will learn what to expect as these effects continue. Special guest presenters appearing for the first time include authors Lisa K, Normandi Ellis and Darryl Philip. Lisa K, author of “Intuition On Demand,” published by Findhorn Press, presents “The 10 Keys to Intuition” at noon Saturday. Egyptologist Normandi Ellis, award-winning author of 13 books, including the spiritual classic “Awakening Osiris,” which she translated from hieroglyphs, presents a talk on Egyptian hieroglyphs at 3 p.m. Saturday, and Darryl Philip, author of “Relax… You’re Not Going to Die,” presents “Answers to Life’s Most Perplexing Questions,” based on research on the Near Death Experience, Sunday at 2 p.m. The expo features 11 public demonstrations of psychic abilities including Victor Paruta’s popular “Ask a Psychic” presentation on Sunday at 2 p.m. and 11 seminars on developing your own psychic powers using techniques such as Dream Analysis, Dowsing, Tarot, Mediumship, Medical Intuition, Palmistry and Numerology. Paranormal seminars include Cincinnati author John Kachuba on “Ghosthunting Ohio, Parts 1 & 2” (3 p.m. Saturday and Sunday); “Protecting Yourself from Ghosts” by Angie Clark (4 p.m. Saturday); and “Earthbound Spirits 101 – It’s Not What You Think!” with Louisville’s Holly McCullough (1 p.m. Sunday). Attendees can learn about and experience holistic healing in 20 seminars, including two Tibetan Buddhist Healing Ceremonies at 11 a.m. each day; five talks about Essential Oils and Aromatherapy; free demonstrations of Reiki (Energy Healing), Crystal Surgery, Healing with Sound and more. Award-winning Cincinnati musician and radio personality Ron Esposito will present his “Crystal Bowl Meditation Concert” Sunday, Nov. 19 at 1 p.m., and award-winning Native American flutist Douglas Blue Feather will teach attendees “How to Play the Native American Flute” (flutes provided) at 1 p.m. Sunday. The November 18 and 19 expo features some of the country’s best psychics available for personal readings; healers using techniques such as Thai massage, foot reflexology and Reiki healing; and vendors creating a unique shopping experience with crystals, jewelry, art, pottery, essential oils, books, wellness products, herbs and exotic imported clothing. Aura photography and face painting will be available. Always family-friendly, the expo also has healthy food and beverage choices available for purchase. Over 150 door prizes will be given away throughout the weekend for psychic readings, healings and merchandise. 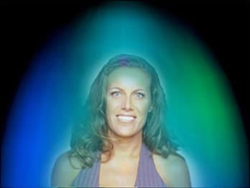 Paruta has produced the Victory of Light Expo in Cincinnati since 1992 to provide the general public with a venue for experiencing and learning about the holistic and psychic arts and sciences. For a complete schedule of events and seminars, visit VictoryofLight.com.